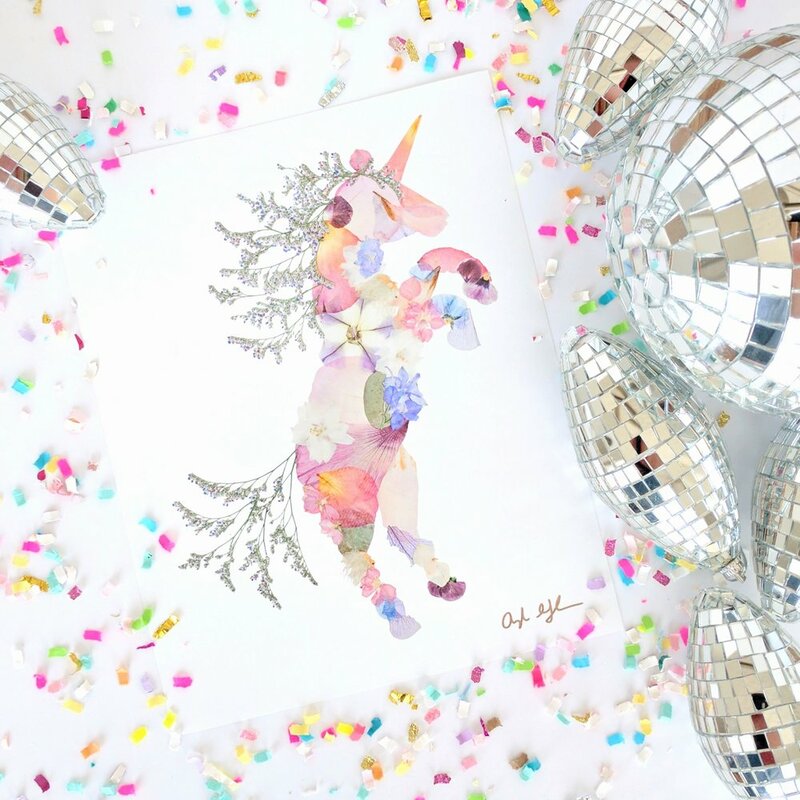 Taking an old school art form and giving it a modern twist, Oxeye Floral Co. is a form of pressed flower art made into unique, one of a kind pieces. What started as a fun hobby collecting and pressing flowers, triggered an intense love of color, design and art. 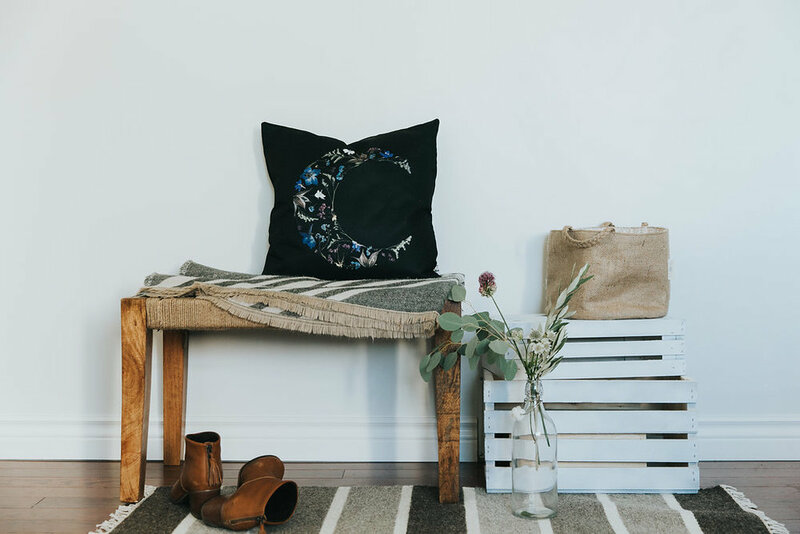 Originating with the pressed flower Skull, Oxeye Floral Co. has grown to showcase a variety of images with a little something for everyone. 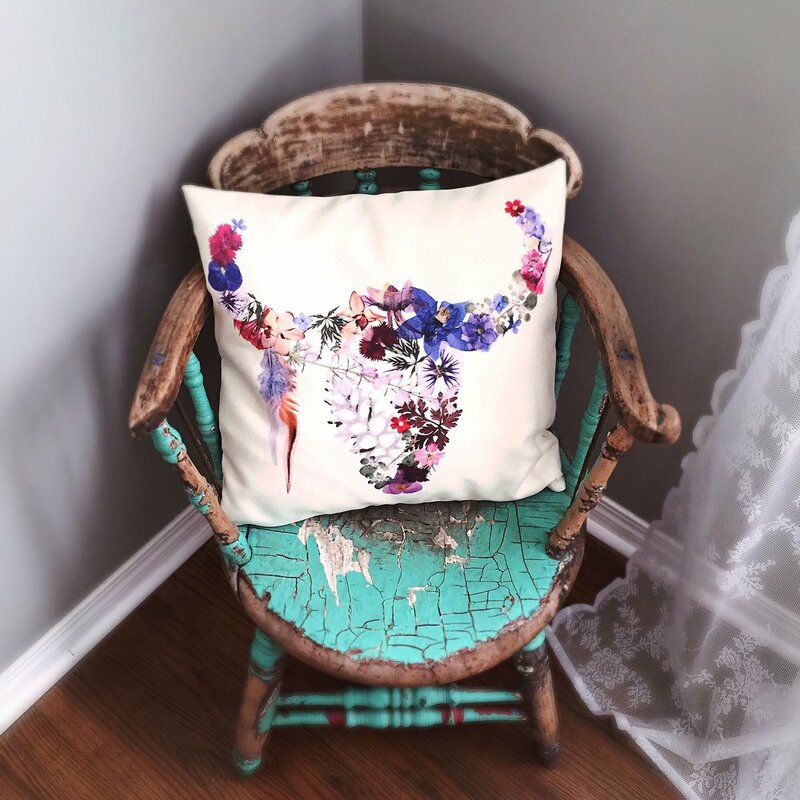 Now available on pillows, tea towels, baby blankets and apparel, we pride ourselves in creating captivating, detailed designs utilizing our passion for nature.